Specialising in Methode Traditionnelle, Pinot Gris and Pinot Noir, Quartz Reef showcases the proven winemaking talents of Austrian-born Rudi Bauer; Royal Agricultural Society New Zealand Winemaker of the Year 2010 Quartz Reef Methode Traditionnelle is fresh, crisp and lively, Pinot Gris is a dry style complimenting food of all flavours and Pinot Noir is firm and intense with notes of ripe black cherry, pomegranate and spice. Quartz Reef vineyards are in the stunning sub-region of Bendigo. The Quartz Reef “No Frills” Cellar Door/Tasting Room in the Cromwell Industrial area is well worth the visit and we welcome visitors to our "working winery". Visit us to enjoy premium hand-crafted Methode Traditionnelle, Pinot Gris and Pinot Noir. 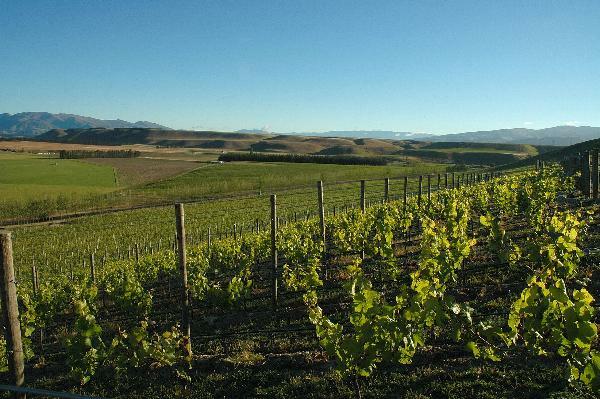 Our organic and Demeter certified biodynamic vineyard is the pioneer of Bendigo, Central Otago. Experience the traditional and non-interventive philosophy of Rudi Bauer, whose vision is to express our sense of place through quality single vineyard wines.